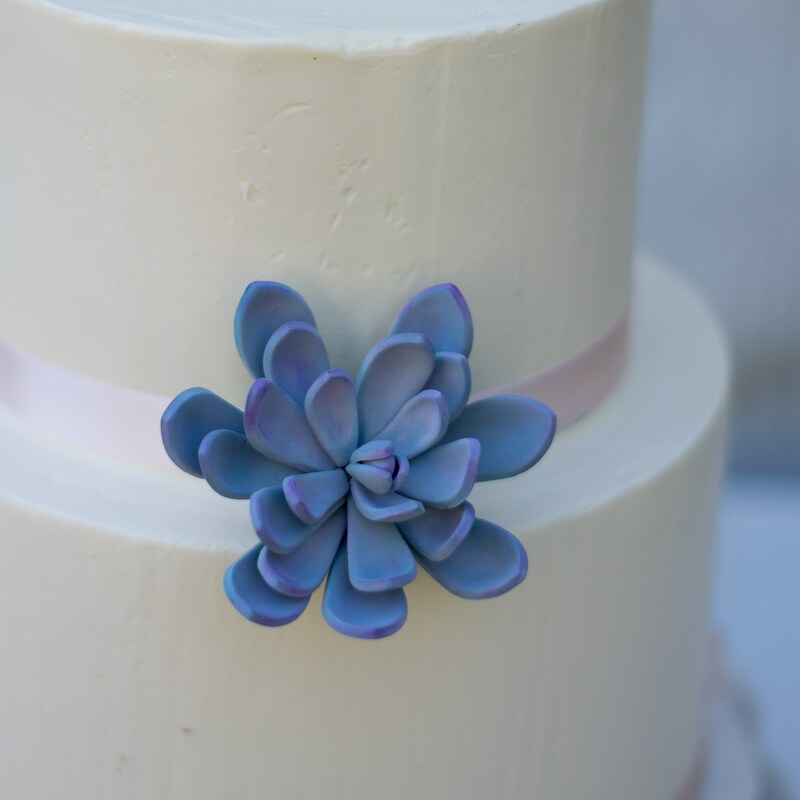 This beautiful dusty blue succulent sugar flower is the perfect accent piece for decorating your wedding cake. 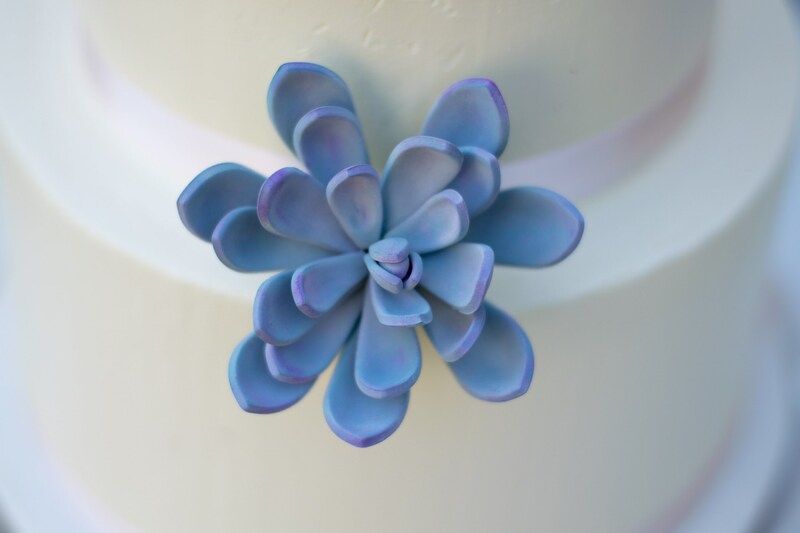 Whether you're a crafty bride to be or a busy baker, sugar flowers are easy and elegant solutions for dressing up any cake. Made on flexible floral wires, each petal can be moved around to perfect fit your flower to any size cake. This succulent measures approximately 3" across. Please remove sugar flowers prior to serving cake. 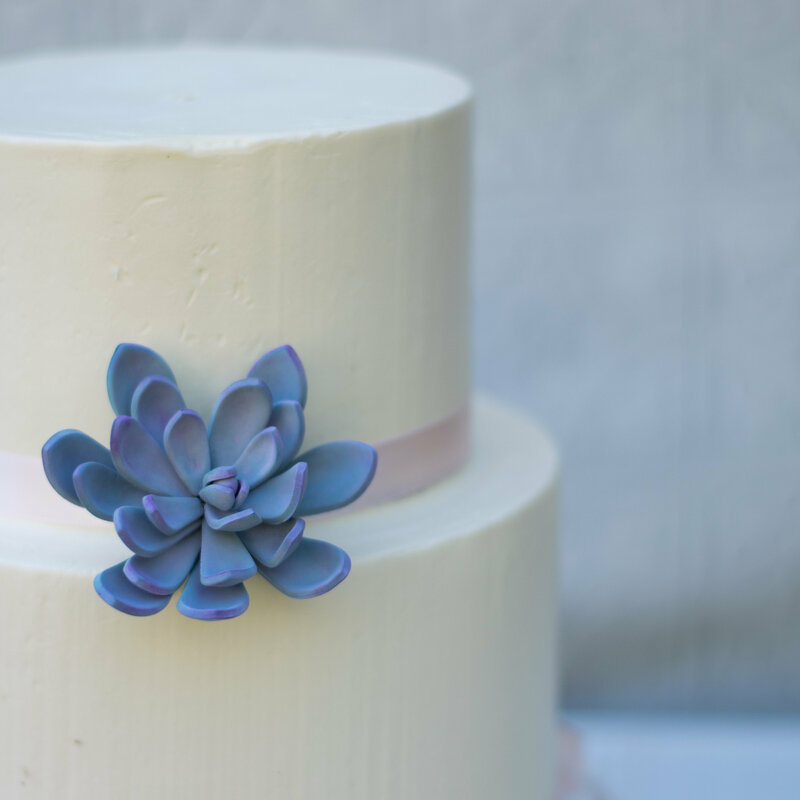 Sugar flowers contain edible and non-edible items (such as floral wire) and should not be consumed.